[toc]The word anemia literally means a lack of blood. In medical context a less than minimum number of red blood cells in blood is referred to as anemia. Less number of red blood cells leads to reduced hemoglobin. As hemoglobin is responsible for carrying oxygen to different cells of the body, a reduced number of hemoglobin leads to reduced carriage of oxygen to different parts of the body. This leads to reduced cell metabolism and reduced supply of energy which in turn leads to a general feeling of malaise. That is why anemic people feel weak and fatigued after doing bits of work. However, chronic or long standing anemia can have devastating consequences on the body. Multiple organs can be affected due to lack of blood. However, there are some herbs that play a key role in increasing hemoglobin in the blood and thereby alleviate the symptoms of anemia. Let us explore some of these herbs. This herb is rich in vitamins C, E and K as well as phytochemicals and beta-carotene. 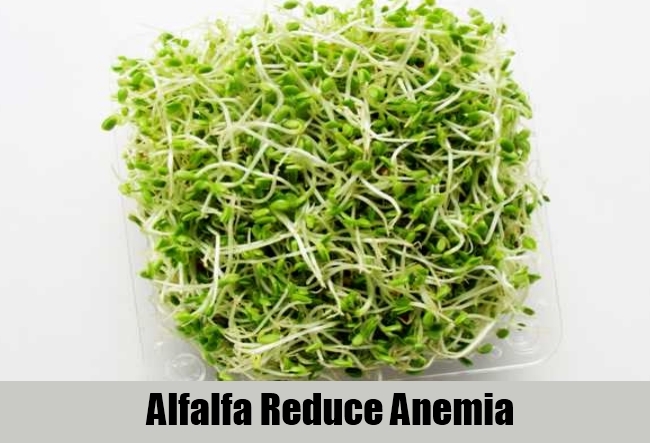 Copious amounts of vitamin C in alfalfa helps the body to absorb the iron in food. Increased absorption of iron leads to increase in the level of hemoglobin. Increased hemoglobin increases the supply of oxygen to different parts of the body. Increased supply of oxygen leads to more energy and that helps to do away with the symptoms of anemia fast. Figs pack a iron punch because they are very rich in iron. Iron is essential for increasing the proportion of hemoglobin in the body. So if you take fig regularly then the amount of hemoglobin will increase and that will increase the oxygen carrying capacity of red blood cells. However, the body needs to be helped in absorbing the iron from figs. For this you can have manganese-rich foods like whole grains, greens, eggs etc. 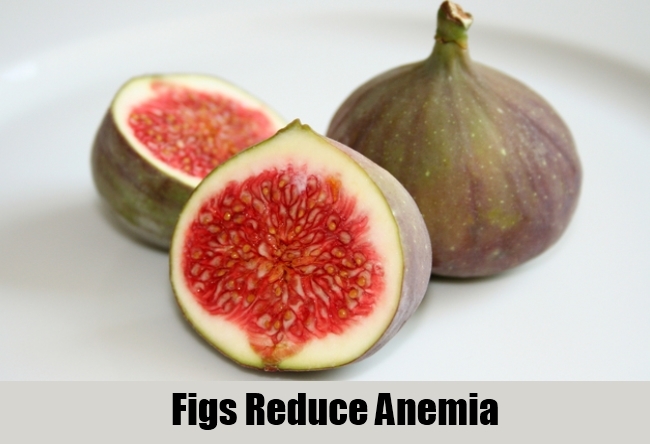 So take figs regularly to alleviate the symptoms of anemia. You may be having lots of iron rich foods and still anemia is not cured. This may be due to inefficient absorption of iron in the body. This needs to be tackled. This can be done with herbs like green pepper. 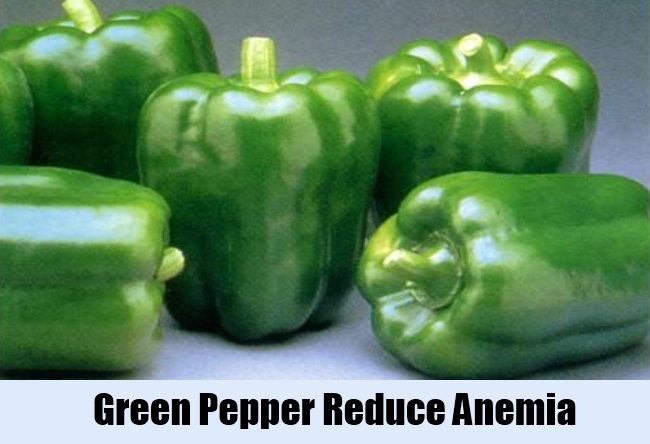 Green pepper is high in vitamin C. As vitamin C helps in absorption of iron, you can help the body to absorb sufficient quantities of iron if you take green peppers every day. So take at least two green peppers every day. This herb is often described as the greatest of all the herbs available in the nature. This is because the herb is a healer for almost all sorts of human ailments. It is used for treatment of anemia too. 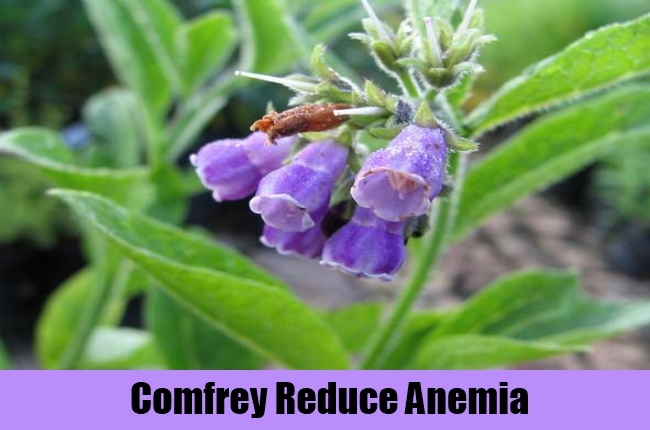 Comfrey is rich in many vitamins including vitamin C. It is also rich in minerals such as iron and magnesium. The combination of these minerals and vitamins have been found to work quite well in alleviating the symptoms of anemia. 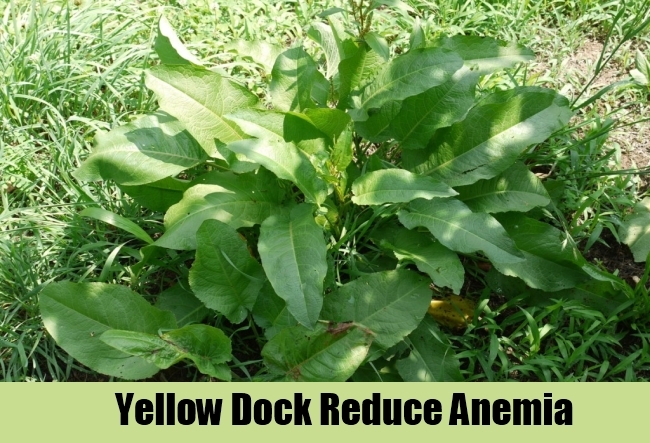 The root of yellow dock herb is often recommended for use in anemia. 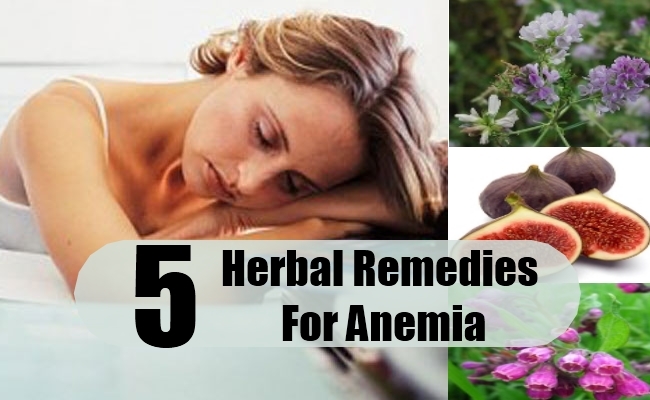 The herb is high in iron content and thus is helpful for treating anemia. Moreover, the chemicals present in yellow dock work to liberate the iron stored in the body. This iron is then used by the body in increasing the amount of hemoglobin. This alleviates the symptoms of anemia.